Sea fishing bait boat DEVC-202 orange catamaran bait boat remote frequency 2.4G boat. * DEVICT Catamaran bait boat is the luxury baitboat with two motors and two batteries inside. It brings more powerful driving force and load more baits which could more than 5KG in one time. * The highlight of Catamaran bait boat is its very stable balance even faced 5~6 class wave in the water. It is not only freely sailing in the lake, river or reservoir, but also could working in the sea for fishing. * There are two types for Catamaran bait boat, one is type M which is standard facility, and another is M3 which could with 3 fishing-lines dropping in one time. 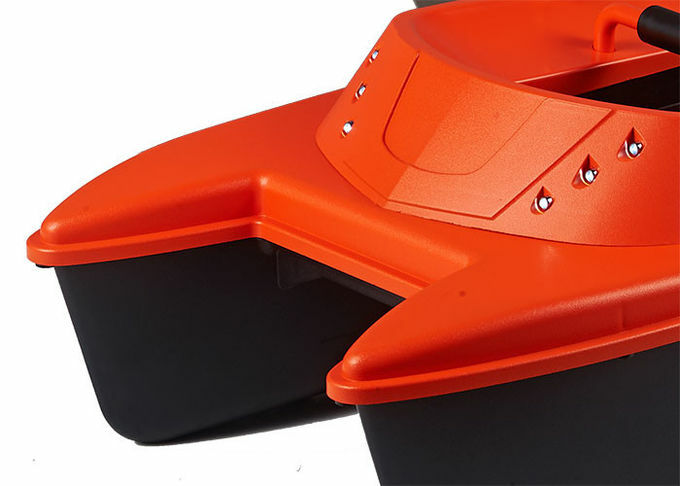 * Act as the DEVICT bait boat, the silence sailing, easy maintain and exchange batteries, with high stalility and credible quality, along with the two-years guarantee service which same as international brand product, became the core reason populared by customers. * The intellegent battery level indicator with new LVF function could warning users in time to ensure saling back the boat before battery used out. 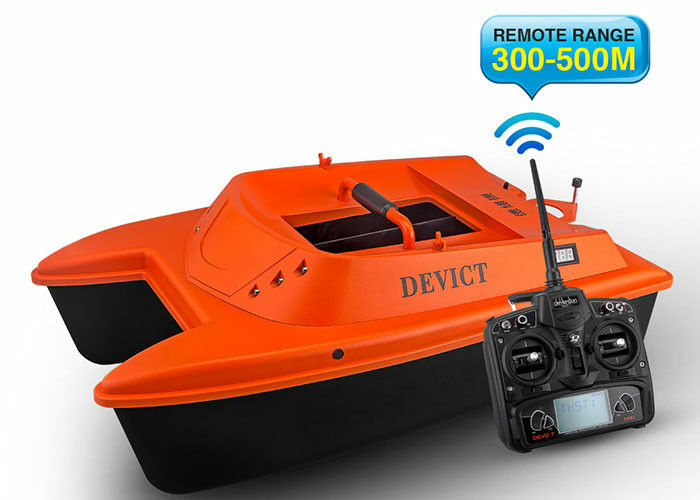 * Update bait boat every year to make product perfect and advanced technology in this industry all the time is the obviously highlight of DEVICT product. * The two-years guarantee keep it as the international brand product service.